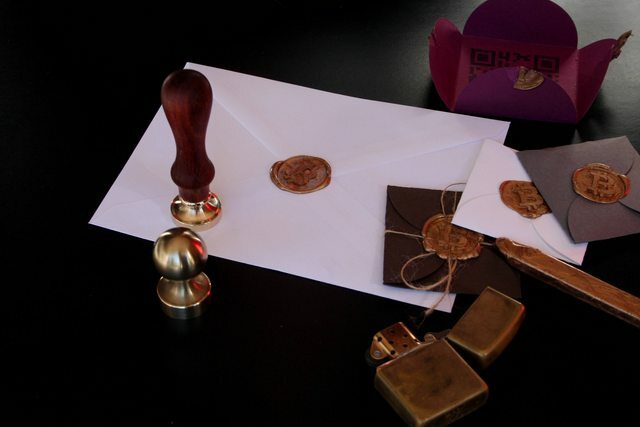 Use a wax seal featuring the Bitcoin logo to dress up your paper wallets, crafts, treats, Bitcoin pamphlets and more. Ironically enough one of the easiest and most secure ways of introducing new users to state of the art tech like Bitcoin is through cold hard paper. I like many of you received my very first Bitcoin in the physical form of a paper wallet. It was boring, bland and I wasn't sure which QR code was for my eyes only. Today paper wallets remain one of the easiest and most secure ways of storing and giving Bitcoin. Whether it's for new or old users of Bitcoin the simplicity, and security of a Bitcoin paper wallet are hard to rival. Part of the joy in receiving a gift is the anticipation and excitement that comes from opening the gift. With your Bitcoin Wax Stamp there's no need for this joy to be lost when giving Bitcoin. The attractive design and security of a wax seal will give your paper wallets a distinguished look while conveying the importance of securing the bitcoins inside. Wax seals are the original tamper evident. The days of gifting boring paper wallets are no more. I've been passionate about Bitcoin for a few years now, but I don't have the coding skills to contribute something to the ever growing community. As a CNC programmer this is my attempt to contribute to the Bitcoin community. I've only machined a few of these as I don't have any idea how popular they will be. So if you're interested get them while they last. Cool idea for i.e. Christmas gifts! Just wondering how long lasting such waxes are? Yes these make great christmas gifts! The majority of sealing waxes around today fall into two categories. There's a modern polymer based wax that is designed to hold up to the abuses of the modern post office, it's flexible but strong. Then there's a more traditional resin based wax that gives very crisp seals that are stiff and can crack if handled roughly. I expect both types to last well beyond the lifetime of the user. 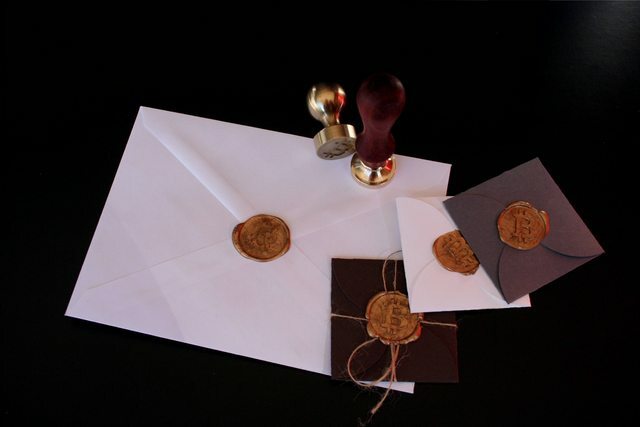 There are historic examples dating hundreds of years when the first wax seals were made. you could be a millionaire soon. Nice idea and well implemented. congrats mate. This is beautiful/awesome. You wouldn't happen to make custom wax stamps would you? Do you have anyone made for collector? Thanks for all the positive feedback everyone. I'm sorry I don't know what you mean. This looks really nice. Shipping international? Its a cool idea, but 50$ for the pawn its kinda a lot. Thank you. The Pawn is entirely made of brass and has over 3 times as much Brass as the Rook. It's a timeless and relatively expensive material. Im thinking about ordering one. Are there any shiiping fees if im in eu country? 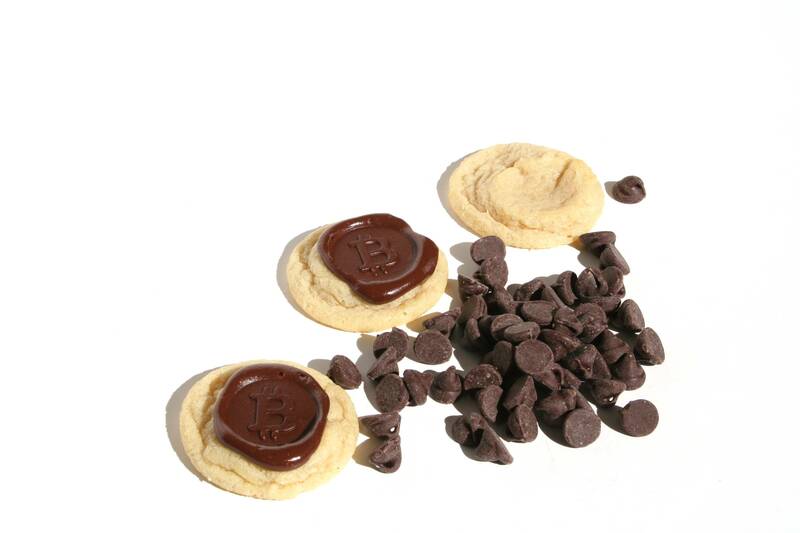 There is international shipping, free shipping is only available in the U.S.
Bitcoin cookies anyone? Theses are stupid easy to make with a wax stamp.